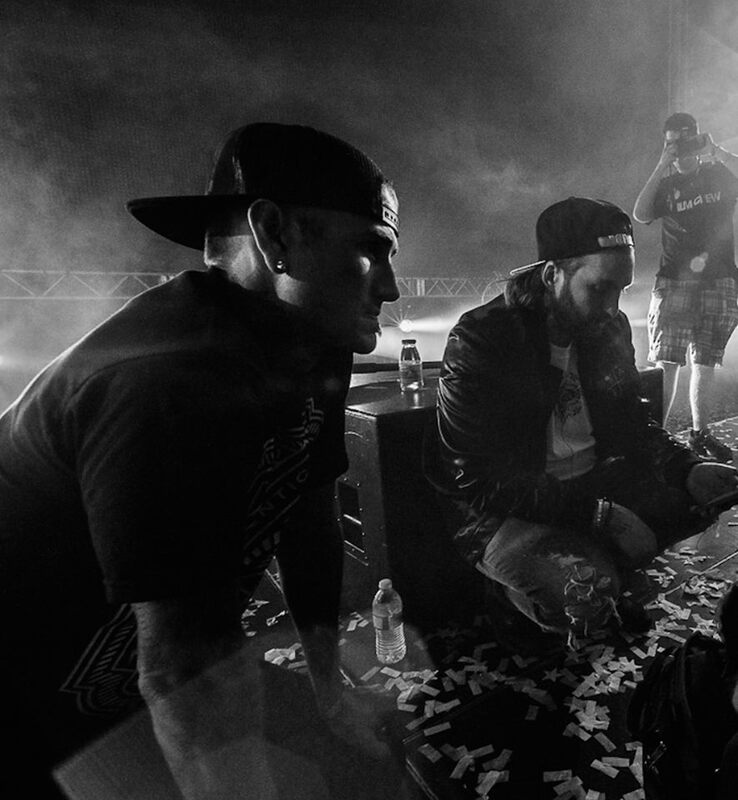 You’ve been working as Steve Angello’s Tour Manager for nearly a year now. How have you benefited from working with him and Size Records? I’ve benefited in ways I didn’t expect. When I came on board, I didn’t know Steve that well or any of the Size crew and it was a gig. Over the past year, it’s become somewhat of a “ride or die” situation, and I would do anything for Steve—the same goes for the rest of the Size crew. Professionally, I’ve expanded my knowledge base and honed my craft, so I feel more on point than ever. But I think the real benefits are more personal. To truly believe in something… it’s a rare thing. Beyond your official capacity as a Tour Manager, what responsibilities do you have behind-the-scenes? Production is my background so I was initially hired as Steve’s Production Manager, but due to a certain chain of events I moved into the tour manager position and now take on both. Steve has an awesome team comprised of individuals I completely admire and respect, and it allows each of us to focus on our specific jobs and the things we’re good at. I don’t try and play the role of an agent or an accountant, because it’s not my skill-set. I stick to what I’m good at, and every player on the team does their part. It’s rare to find valuable insight on how to build your way up on the management side of the industry. Would you say it’s a matter of luck, or is it earned? I think it’s a bit of both. Life has a way of throwing you curve balls, and things can turn out completely differently than you thought they would. The one thing you can never underestimate is the power of a good work ethic. A solid work ethic will carry you through the hardest times and, in my experience, will always guide you towards a higher ground. I wasn’t always the smartest or the one who knew how to do things best, but that just fuelled my desire to be better. That doesn’t mean being better than other people—just a better version of myself. I look back and think that everything I’ve ever done has led me towards where I’m at today and I do believe in destiny, but I believe in hard work more. How did you work your way up to your current position? I was working at a production company for about 5 years and got a call from Steve’s team saying they’d like for me to join them. It was one of those aligning of the planets scenarios that happens in your life for one reason or another. In this case, I believe it was fate. I got hired as a Production Manager, but just as in any job, it doesn’t matter if you have 10 years of experience—you have to learn the ins and outs of each crew you work with. It takes time to get to know someone and what they’re capable of. Now, almost a year later, I run his production and I’m his Tour Manager. I had to prove myself, but it was a pretty natural and fluid progression and it just fit really well. We know the DJs and producers have to love the genre of music they’re working with, but would you say the people working on the business end share the same passion for it? I grew up on metal, and was a drummer in a death metal band for years. My background is playing in bands and going to shows in basements or dirty clubs. Getting involved in dance music was just a product of my job, but that changed over time. When I listen to music now it’s mellow, probably due to the intensity of the rest of my life. Essentially, I truly believe in Steve and his vision as a person and artist, and when he goes on stage I’m filled with energy and pure adrenaline, but when I walk off stage I’m not shuffling. I just like music. One day it’s Cannibal Corpse or Pantera, and the other it’s Mark Knight or Phaeleh. Before getting started in the world of EDM, did you plan to work in any other field? I always knew that I wanted to be involved in music but at first I didn’t know how. I worked in construction, and did many odd jobs trying to figure it out, but show production was always it for me and has been for the last 10 years. It’s deep, and I’m very aware of the fact that I’m living a dream I’ve worked for over many years. But I’m not finished yet—I work each day like I have to earn it. Just thinking about where things will be in another 5 or 10 years is like rocket fuel to me, and totally inspiring. If you dream it and believe in something enough, it will manifest itself if you work for it. This question usually pertains to track releases and the like, but we want to know what you have planned for yourself in the future. Any career moves? Events you’re looking forward to? I’m going into my second year working with Steve, and have nothing but excitement for next year. A lot of big plays are shaping, and of course looking how we can further develop and push the limits of our shows. There is a big difference in just getting something done and doing something that makes people walk away feeling different about themselves or the world they live in. As always, I hope to continue learning and growing as a person. Life doesn’t mean much if you aren’t paying attention and progressing. Every day is an opportunity, and I’m at that point in my life where I really honour and appreciate that. Today, all I can do is put my best foot forward and hope that my actions resonate with the world around me and make a difference.